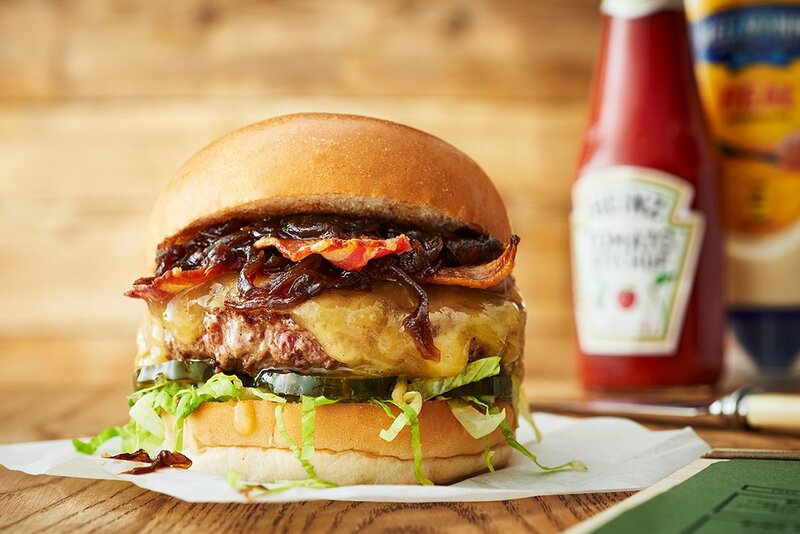 Burger joints in Brighton face fresh competition this month as a new award-winning gourmet burger chain opens in the Lanes. National group Honest Burgers focuses on homemade beef patties made from 100% grass-fed, aged British beef – which is finely chopped (not minced) for exquisite flavour and texture. Their opening, at the former Lanes site of Pascere at 8 Duke Street, marks the first south coast restaurant for the group, which launched in Brixton in 2011 and currently operates 30 other sites across London, Bristol, Reading and Cambridge. But the opening – at the end of Feb – serves as a ‘homecoming’ for co-founders Tom Barton and Philip Eales, who came up with the idea when they met working at Brighton’s Riddle and Finns. Honest were recently named Restaurant Magazine’s ‘Best Overall Restaurant Operator – Over 20 Sites’ at their R200 Awards, a testament to their dedication to their food and customer service. In the run up to the launch, the Tom and Phil have been keeping busy meeting Brighton’s brewers and producers to create some specials which are tailor-made to the site. We can’t wait to see what they’ve come up with! Honest Burgers opens at 8 Duke Street, Brighton, at the end of this month.